CED’s waterproof rifle cases are virtually unbreakable. They are durable and strong and can withstand the most extreme conditions. They are essential for keeping equipment secure and are ideal for transporting or freighting delicate air cargo and protecting valuable guns in transit. Each case is packed with multi-layers of eggshell and cubed foam to provide the best of both options. 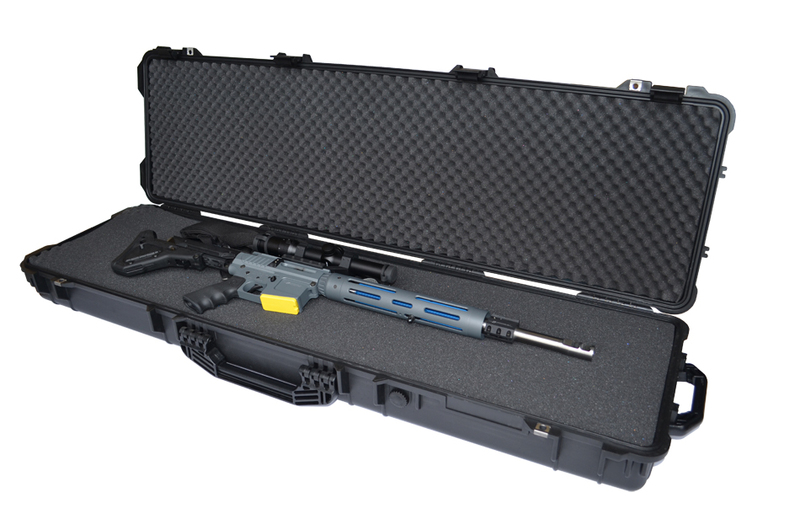 For quick use, simply place your rifle in the case and the eggshell foam compresses it in place. For longer journeys where protection is vital for delicate scopes, camera equipment or other valuables, simply reverse the bottom foam layers to place the cubed layers on top. Then pluck out the cubes as needed to the shape of the stored item. The rifle case comes with a heavy duty handle at one end and built-in trolley wheels at the other.